Captisol® is a patent protected, uniquely modified cyclodextrin, whose chemical structure was rationally designed to enable the creation of new products by significantly improving solubility, stability, bioavailability and dosing of active pharmaceutical ingredients (APIs). 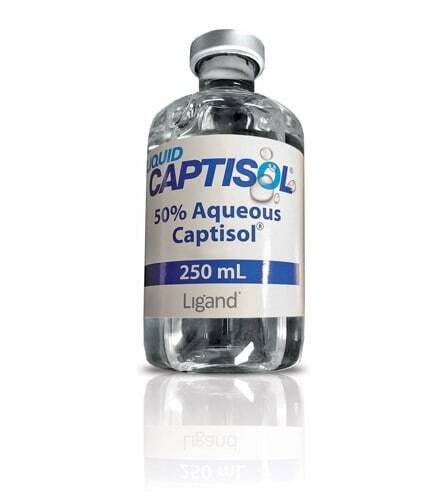 Ligand associates are committed to assist you in rapidly getting Captisol®-enabled products to market. We offer formulation development services on an as needed basis to help our clients and will partner to whatever level helps you achieve success. Ligand offers formulation solutions, in-depth industry knowledge and consulting services to meet your goals. We form strong alliances with partners to deliver enabling solutions to products. Find out how you can get started in our evaluation process.